Sesamoid bones are small somewhat spherical masses embedded in particular tendons and typically associated with joint surfaces. Some of the most normal sesamoid bones are those of the foot, also including the hallucal sesamoids, smaller metatarsal sesamoids, interphalangeal joint sesamoid of the great toe, os peroneum, sesamoid among the anterior tibial tendon, and sesamoid within the posterior tibial tendon; those of the hand, including the pollicis sesamoids, 2nd and 5th metacarpal sesamoids, interphalangeal joint sesamoid of the thumb, and pisiform; along with the patella and fabella. The apex of the first metatarsal is cam-shaped and somewhat bigger than the base of the proximal phalanx. As a result, motion in this joint is more complicated than that of a basic hinge, with in the center of rotation is dynamic. Fan-shaped ligaments originating from the medial and lateral epicondyles of the metatarsal head constitute the medial and lateral collateral ligaments behind static restraint to valgus and varus stress, respectively. Plantar, the powerful, fibrous plantar plate gives stability. The plantar plate adheres firmly to the base of the proximal phalanx but only loosely at the plantar aspect of the metatarsal neck as part of the joint capsule. The joint capsule itself is a junction of ligaments and tendons, including the collateral ligaments, the plantar plate, the metatarsosesamoid and phalangeosesamoid ligaments, the abductor and adductor hallucis muscles, the extensor digi-tomm brevis, and the flexor hallucis brevis. Movement in abduction and adduction, however, is minimized. Two longitudinally aligned cartilage-covered grooves divided by u rounded rim called the crista advance the plantar surface of the head. The flexor hallucis brevis muscle includes a medial and lateral portion with every a tendon insertion onto the plantar base of the proximal phalanx of the hallux. Enclosed in each tendon is a sesamoid bone that fits together with its respective overlying groove. The articulating side of the sesamoid is also enclosed with hyaline cartilage. Adjoining both sesamoids is a thick intersesamoid ligament that sustains the connection of the sesamoids and the suitable path of the flexor hallucis brevis tendons. 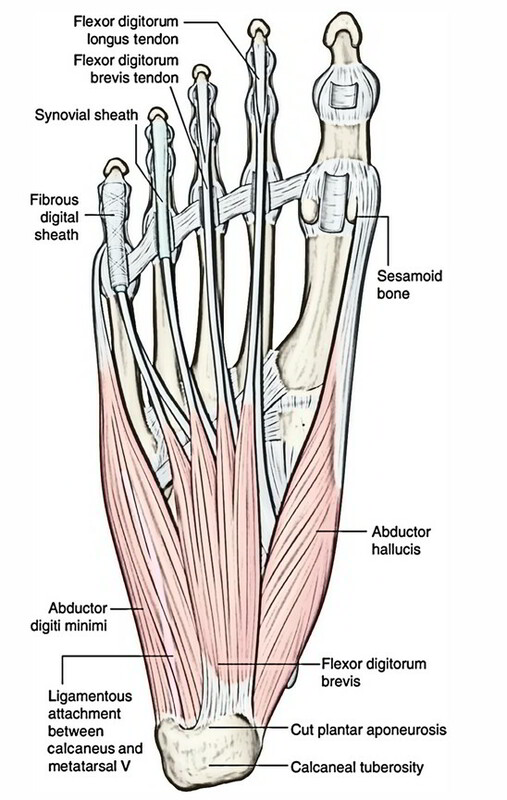 The existence of these sesamoids gives the tendon a mechanical convenience when pulling at an angle (i.e., at the time the hallux has a dorsiflexed position). Morphologically, the shapes and size of the sesamoids van widely. More than 10′ r of medial (or libial) sesamoids are bipartite and should not be confused with a fracture. This finding is bilateral in 90% of cases and is seen far more commonly in the medial sesamoid than the lateral (or fibular) sesamoid. The medial sesamoid can be divided into three or four parts as well, whereas the lateral sesamoid is seldom split into more than just two. The sesamoids are the connection locations for a variety of structures. In the lower limb the largest sesamoid bone of the joints is the patella, created in the tendon of the Quadriceps femoris. On the plantar side of the foot, two, of which the medial is the bigger, are always found at the metatarsophalangeal joint of the great toe; one occasionally at the metatarsophalangeal joints of the second and fifth toes, one occasionally at the corresponding joint of the third and fourth toes, and one at the interphalangeal joint of the great toe. 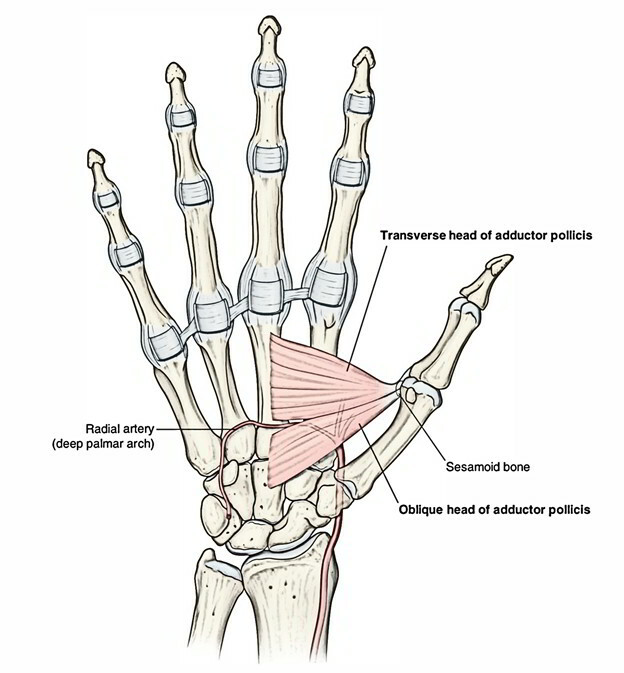 In the upper limb the sesamoid bones of the joints are present solely on the palmar surface of the hand. Two, of which the medial is the bigger, are regular at the metacarpophalangeal joint of the thumb; one is often found in the complimenting joint of the little finger, and one (or two) in the exact joint of the forefinger. Sesamoid bones are also located sometimes at the metacarpophalangeal joints of the middle and third finger, at the interphalangeal joint of the thumb and at the distal interphalangeal joint of the forefinger. Sesamoid bones besides joints are hardly ever found in the tendons of the upper limb; one is occasionally seen in the tendon of the Biceps brachii on other side the radial bulge. They are, although, found in numerous of the tendons of the lower extremity, viz., one in the tendon of the Peroneus longus, where it slides on the cuboid; one, occurring afterwards in life, in the tendon of the Tibialis anterior, opposite the even side of the first cuneiform bone; one in the tendon of the Tibialis posterior, other side the medial side of the head of the talus; one in the lateral head of the Gastrocnemius, behind the lateral condyle of the femur; and one in the tendon of the Psoas major, the place it slides over the pubis. Sesamoid bones are present sometimes in the tendon of the Glutæus maximus, as it overlooks the greater trochanter, and in the tendons which wind around the medial and lateral malleoli. The existence of a bone enclosed in the tendon helps to secure the tendon a little further far from the centre of the joint this enhances its motion, and prevents the tendon from compressing into the joint as tension enhances. Instead similar to a cable machine in the gym, this framework enables steady motion as the weight on the tendon changes. Their purposes most likely are to alter pressure, to reduce friction, and sometimes to alter the course of a muscle strain. That they are not designed to meet particular physical needs in the adult is demonstrated by the fact that they exist as cartilaginous nodules in the fetus, and in majorities than in the adult. Sesamoids act like pulleys. They give an even surface over which the tendons slide, thus enhancing the capability of the tendons to transfer muscle forces. The sesamoids in the forefoot also help with weightbearing and help raise the bones of the big toe. 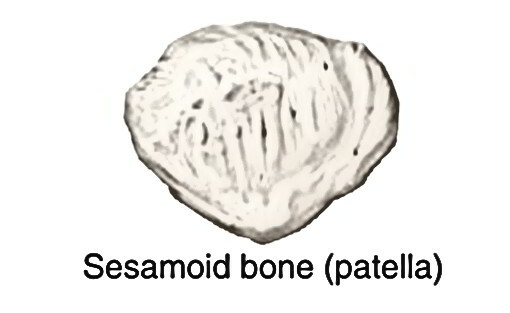 Just like other bones, sesamoids can get damaged (fracture). Furthermore, the tendons covering the sesamoids can become agitated or swollen. This is known as sesamoiditis and is a way of tendinitis. It is common among prima ballerinas, runners and pro athletes. Pain is centered under the big toe on the ball of the foot. With sesamoiditis, pain may develop over time, whereas with a fracture, the pain will be instant. Inflammation and bruising may or may not occur. Sesamoiditis has generally non-operative treatment methods. Failure of procedures may bring about referral for surgery to eliminate the sesamoid bone. Restrict the action that causes the pain. Cushion pads (Orthopedic Specific) Wear soft-soled, low-heeled shoes. Resume activities after significant relief and continue to wear a cushioning pad of thick foam rubber under the sesamoid sites to support them. Stay away from activities that put your weight on the balls of the feet. Plantar flexion methods. Example – Tape the big toe to ensure that it bents a little downwards. Doctor may suggestion an injection of a steroid medication to minimize swelling/inflammation. You might have to wear a detachable short leg fracture brace for four to six weeks in case symptoms persists. You may have to wear a stiff-soled shoe or a small, leg-fracture brace. The big toe may be wrapped to limit motion of the joint. Might need to wear a J-shaped orthopeadic pad over the area of the sesamoid to ease pressure as the fracture recovers. Can take a few months in subsiding pain. Cushioning pads or additional orthopedic accessories are useful as fractures heal. In many cases, surgical fixation of a fractured sesamoid is necessary.